While singing his classic song "I'd Do Anything for Love (But I Won't Do That)" in Edmonton, Canada, musical artist Meat Loaf collapsed on stage. 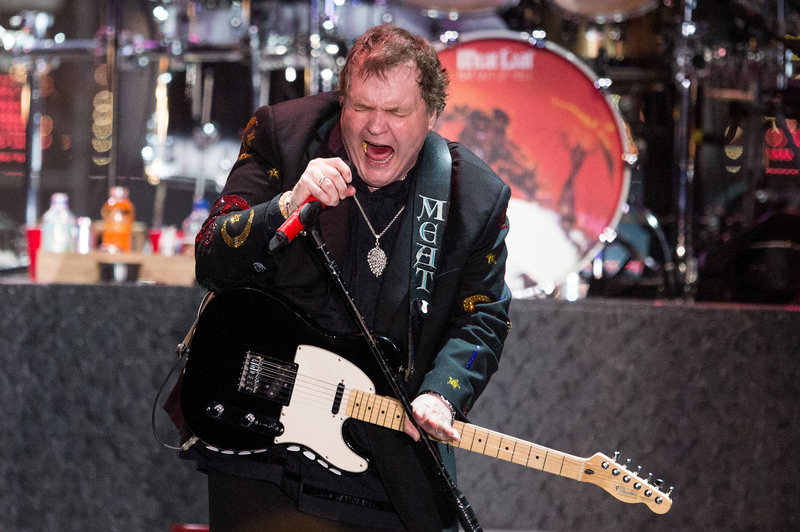 As reported by Canada's CBC News, Meat Loaf slowly fell down toward the end of his performance at the Northern Alberta Jubilee Auditorium on Thursday, June 16. Although Alberta Health Services could not confirm Meat Loaf's status, the singer's representatives told CBS New York that Meat Loaf is "stable and in good condition," which should help ease the minds of his fans. Meat Loaf, whose real name is Marvin Lee Aday, had canceled shows in Canada before his performance on Thursday night because of health issues. On June 13, Meat Loaf's official Facebook page posted that his concert at the Southern Alberta Jubilee Auditorium in Calgary that evening was being postponed "due to illness" with Ticketmaster currently stating that the event is rescheduled to June 30. He also canceled a June 11 performance in Moose Jaw, Saskatchewan because of his health with the venue reporting a rescheduled concert date set for July 2. Considering his most recent scare, these concerts may need to be postponed again, but fans would understand as Meat Loaf's well-being is first priority. The video of the 68-year-old Meat Loaf falling down in the middle of performing "I'd Do Anything for Love (But I Won't Do That)" is concerning with a concert attendee telling CBC that, "You could hear the microphone just hit the ground." But thankfully, Meat Loaf seems to be getting the medical attention he needs based on the comments made by his representatives and fans are relieved to hear he is doing OK. Here's wishing the iconic singer a healthy and speedy recovery.